ZWear – A wearable platform for makers – ZWear is a turn-key wearable platform with Bluetooth BLE, GPS and accelerometer. 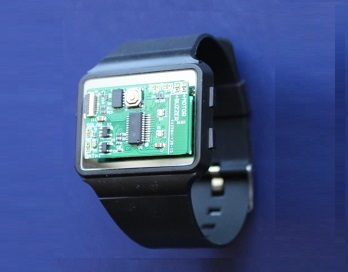 ZWear is a turn-key wearable platform with Bluetooth BLE, GPS and accelerometer. 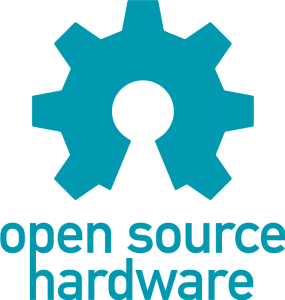 ZWear platform is to be open source hardware. ZWear is a quarter-size turn-key platform for your wearable ideas. ZWear supports ZOS IDE, the first IDE to run on iPhone/iPad for wearable. ZWear is the world-first development kit for wearable device, which supports Over-The-Air(OTA) coding. Our as-low-as-$25-cost solution is only the size of a quarter, includes Bluetooth 4.0 BLE, a 3-axis accelerometer, GPS and much more, and is small enough to fit virtually any design. ZWear is production ready, helps you pack your own idea into a product. Developing hardware and writing firmware can be difficult and time-consuming. 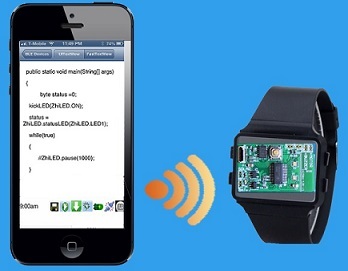 ZWear can speed up your development process, allowing you to implement your own wearable idea easily. Developers, hobbyists, manufacturers – ZWear is a perfect fit, helping you achieve your dream, easily and effectively. Grab the iOS example code from GitHub, modify it, and you’ve created your own app and wearable product. ZWear comes with the ZOS firmware embedded, which features ZOS IDE (Integrated Development Environment), the first IDE to run on iPhone/iPad supports OTA coding. The ZOS IDE allows you to access firmware source files, modify the firmware, and then program it straight from your iPhone or iPad. You can customize your ZWear firmware in just minutes. ZWear is just the size of a quarter, but that doesn’t mean it’s lacking in features. It includes everything necessary for your wearable project. Avoid time-consuming, costly prototyping – ZWear is ready for production immediately. ZWear and GPS module fit within a golf ball comfortably. 1. GPS module is ready with easy FPC cable connection. 2. Other pin/extensions are available. We included a photo sensor, buzzer and motor. 3. DEBUG module is ready for use. Developing your own API is easy. Simple API example code can be found on GitHub. All API functions are implemented as delegate. The first function is called when ZWear is connected with an iPhone. The second function is called when accelerometer data is ready to read. The third function is to read GPS data. Ready to customize the firmware? Download our revolutionary ZOS IDE right from Apple’s App Store to your iPhone. Then create a test account and start development. We even offer a test account for standard development in this campaign. We’ve included a USB SmartRF05eb lite debugger and accessories to connect with ZWear main boards. Our kit also supports professional software for measuring signal strengths, controlling hardware directly, such as SmartRF Studio, SmartRF Programmer and IAR Embedded Workbench, which can be free download from TI. d. Our ZWear Prime Professional kit brings everything together, and includes the ZWear main board, necessary accessories, battery, GPS module, and the SmartRF05eb lite USB debugger and cable. f. PRIME PROFESSIONAL KIT x2 (ZWear mainboard + GPS module + SmartRF05eb lite USB Debugger) x2 . *all the orders are pre-order for Autumn and will ship to you in October as same time as the kickstarter campaign.